This year, moms can maximize their Back to School budget while still dressing their kids in the latest styles. And I’m going to tell you how!!! Are you ready for this? Moxie Jean. Moxie Jean offers unique, stylist-created looks from favorite brands like Gymboree, Gap, Tea Collection, Hanna Andersson, Mini Boden, Baby Lulu and Ralph Lauren, plus designer brands like Oilily, Mayoral, DKNY, Burberry, and Juicy Couture, all at 75% or more off retail prices. 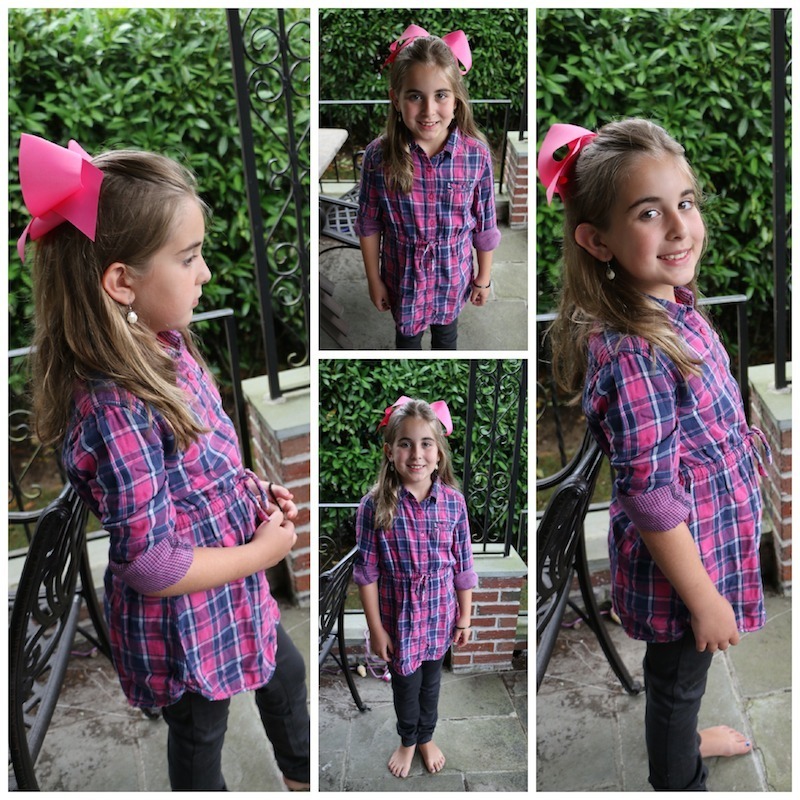 I did a little shopping for Natalie and picked up two adorable outfits for under $35 COMBINED. Yes, you read that correctly. Both outfits put together ran me under $37 INCLUDING TAX and SHIPPING. Amazing, right? Here’s a look at Natalie’s first outfit. 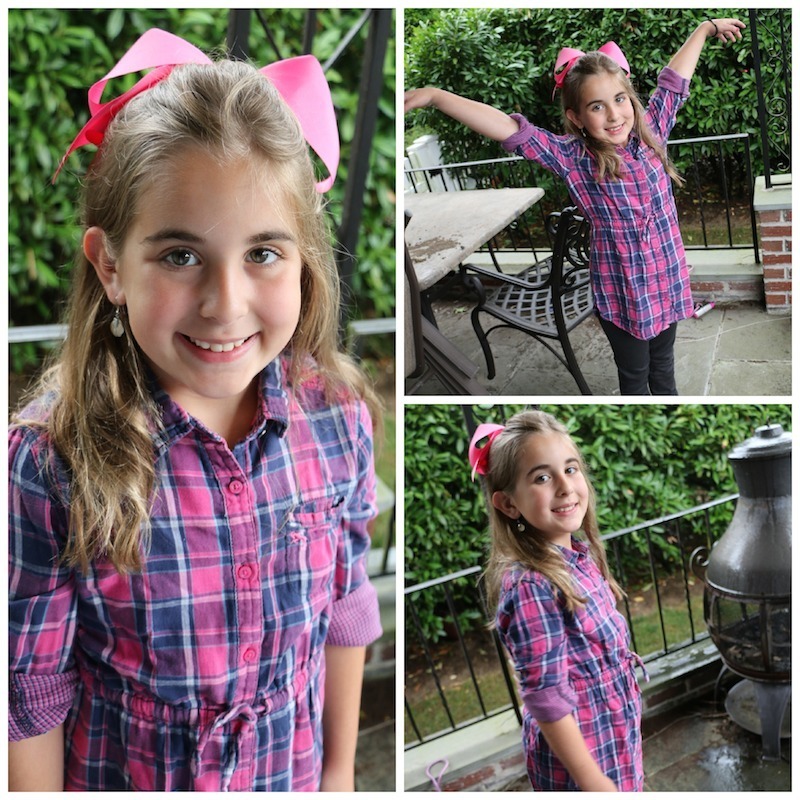 She LOVES the color pink and I am a huge fan of plaid. I thought this dress from H&M was just fab and for $9.99 it was hard to beat. When I found it on Moxie Jean, I found the EXACT item that shipped. You are looking at the items of clothing that you will get when you purchase. So, I made sure to check out details. The color was slightly off, but I was actually happy about that because the brighter pink was preferred by my daughter. I paired the dress with a pair of tractor jeggings that retailed for $11.99. Such an easy outfit for school, right? Honestly, it was hard for me to remember that these clothing were gently used. This is the kind of site that you keep coming back to because they constantly add new inventory. It’s not your average store. Stock is always new. Stock is always changing. Updates are made Monday through Thursday. The last piece I picked up was the adorable dress from Faded Glory. Perfect for the holiday months, right? It’s all one piece by the way and it ran me $8.99!!! WHAT?! This was Natalie’s favorite piece from the lot. 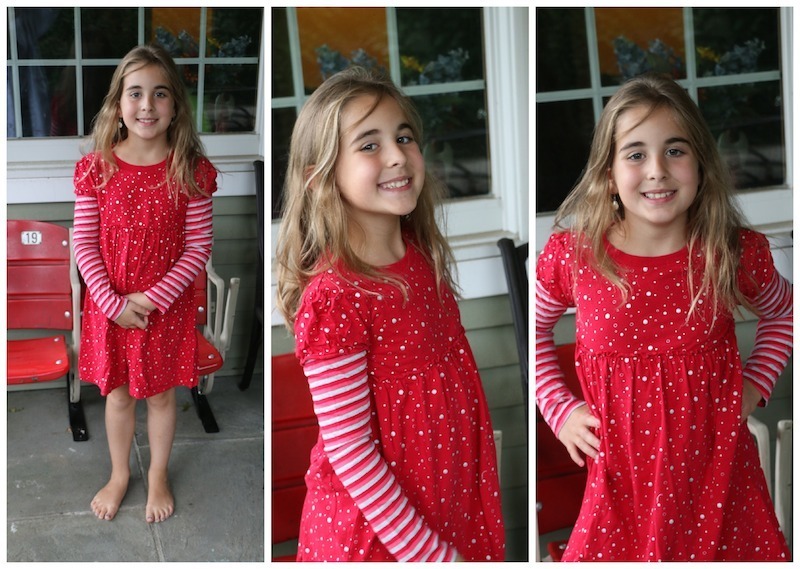 It’s free flowing and girly – just how she likes it! If you are on the hunt for baby and kid clothing but don’t want to worry about paying the high price of retail, check out Moxie Jean. 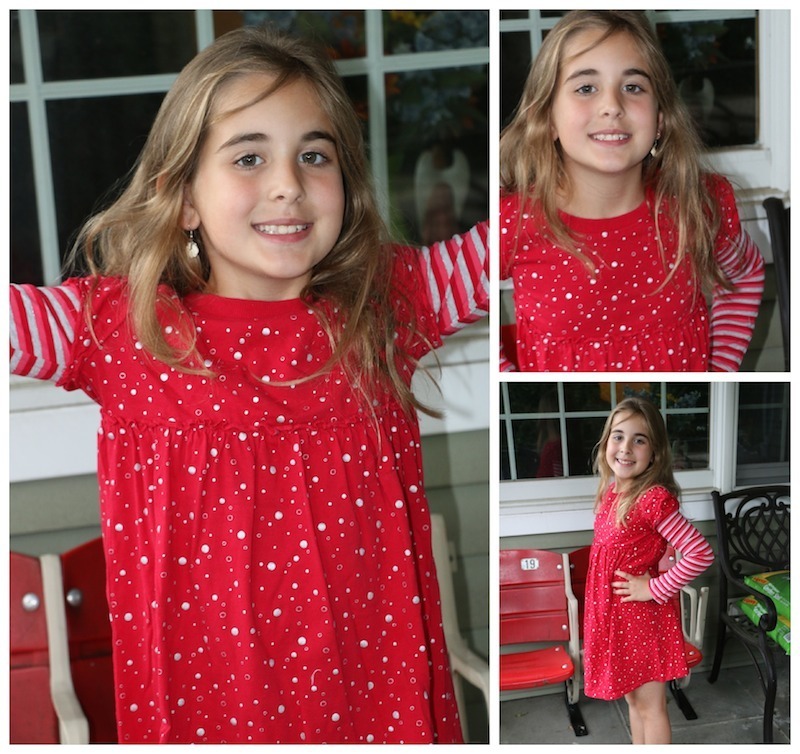 It’s the perfect site for moms who want to buy and sell high-quality, gently-used kids clothes. YES! You can sell your clothes on the site too! Isn’t that amazing?! Once your kids grow out of the pieces, you can hand them over to MoxieJean. Moms can now buy name brand clothes for their kids at a fraction of the cost. The quality of the clothing is very high – each piece is hand inspected and I absolutely appreciated that. You don’t have to worry about getting pulls and tears. They wouldn’t sell anything like that back to their shoppers. All you have to do is log onto Moxie Jean and start shopping! Amazing deal that cannot be missed. I’m joining a handful of bloggers and am giving away a Back to School Wardrobe gift card for $177.50 – the winner will be able to get a full back to school wardrobe for HALF of what it would cost new – even with all the BTS sales!! These outfits are just too precious!! i used to love the gap! but now i find great deals at the childrens place!